Most stove relines are needed when the stove is improperly installed or it is being added into a home and the flue is damaged or the incorrect size. When we do our inspection we explain if you do or do not need a stove liner based on your situation. Based on your particular situation we will recommend the best course of action to guarantee safe and efficient operation. Below are some scenarios where you would need a liner. Flue is the correct size and is lined but is damaged. 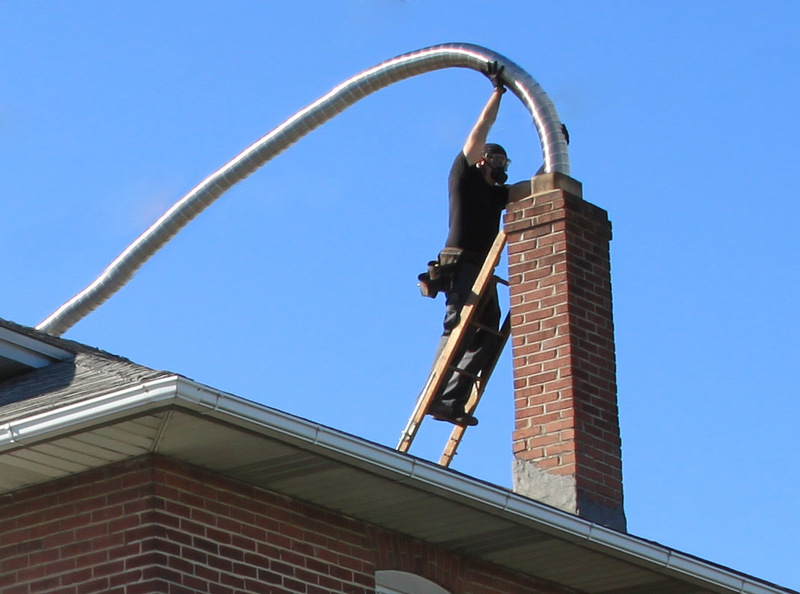 Flue is unlined with brick only. 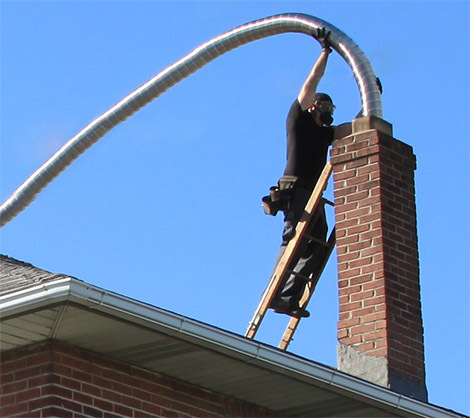 Flue is incorrect size and lined. Stove is inserted into a fireplace with a partial liner section. Stove has no liner and is installed in a fireplace as an insert. On average from deposit to completion our liners are installed in approximately 1 1/2 - 2 weeks. This of course has to do with the time of the year, the weather, part availability, and your and our schedules. The project installation takes anywhere from 2 1/2-5 1/2 hours for a standard installation to multiple days depending on the difficulty of the job and other factors. We try our best to get jobs completed as quickly as possible in a clean, efficient, and professional manner. You won't find us taking many breaks while we're on the job! To schedule a free estimate from us for a stainless steel reline please visit our contact page and we will respond as soon as possible to set up a date with you. We also offer a fully documented visit stating the health of your system via a $99 Level 1 Inspection. This inspection also includes a liner estimate. Why Install A SS liner? Homes that are built with brick and mortar or what are called masonry chimneys have terra cotta lining which is meant to control exhaust gases from your furnace, water heater, stove, or fireplace. When this becomes damaged from either moisture, usage, age, a chimney fire, or improper construction a stainless steel liner is inserted and connected directly to your heating device. Homes in the ~100 year range often do not have a terra cotta liner at all! These are not up to code and are extremely dangerous. Bricks can fall out and create blockages or land in a fireplace and cause an explosion and in the event of a chimney fire will *not* contain the chimney fire. Our general rule of thumb is that any home over 40+ years should be inspected for possible relining. On average we have found that 95% of the homes we visit with a terra cotta lined oil flue in the 40-60 year range will need relining due to cracks, flaking, and/or missing tile pieces. There are numerous benefits to a stainless steel liner. First and foremost is your safety and that of your family as the hazardous exhaust gases will now be properly contained inside the new stainless steel liner. Our liners are made in the USA right here in Pennsylvania and come with a lifetime transferable warranty. Our standard offering is a circular .005" thick 316Ti liner which has .05% Titanium for added corrosion resistance and is strong enough to stand on. We also offer 316L and 304L smooth wall liners if the application calls for additional draft, added coal resistance, or heavier duty at an additional cost. Another small benefit is that although the inserted liner is technically smaller than your old liner 98% of the time the terracotta lining is square or rectangular with rounded corners. 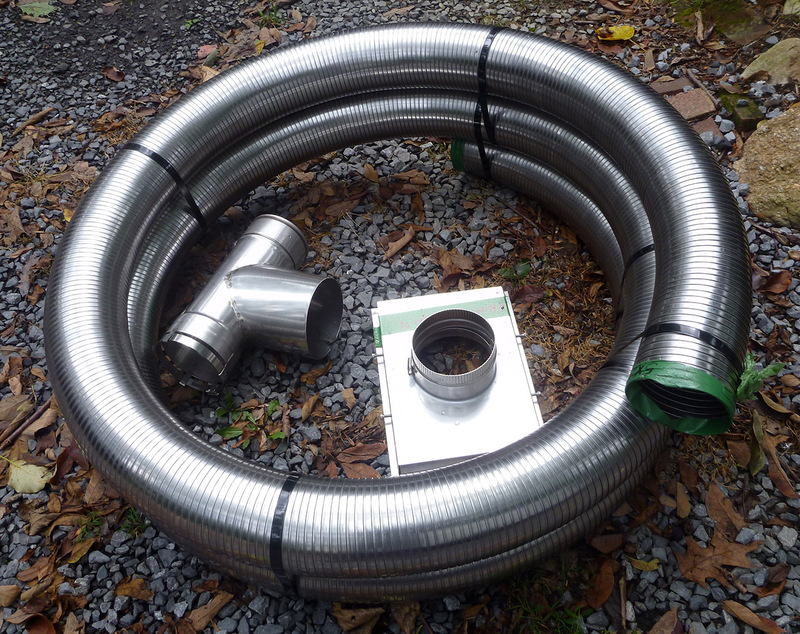 By moving to a circular system your flue will draft more efficiently as exhaust gases naturally want to spiral.